I began producing and recording for Coyote 2004. In the early days of doing music, I recorded at Hank Bones' studio in Brooklyn, NY. However, Hank decided to move to Ashville, North Carolina. This decision of Hank's left me without a good place to record square dance music. As luck would have it, I finally found a great studio with lots of good musicians in Tennessee so I was back in business. I like the new sound of Coyote and I hope you do too. 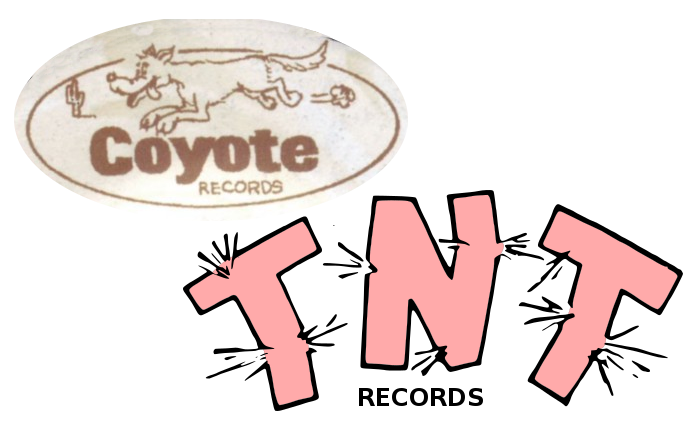 As the new owner of Coyote and TNT, I thank you for buying Coyote and TNT music. If you have any comments, good or bad, feel free to pass them on to me. TNT records was started in the late 70’s by Mike Trombly, a caller from St. Alban’s, Vermont. Mike was probably the first square and round dance record producer to use a synthesizer as the source of music. One could say Mike is a pioneer because the synthesizer plays a big role in most of the square and round dance music recorded today. Over the years so many great callers have recorded on TNT. Besides Mike, there have been such great callers as Gene Trimmer, Jack O’Leary, Al Brundage and many more. 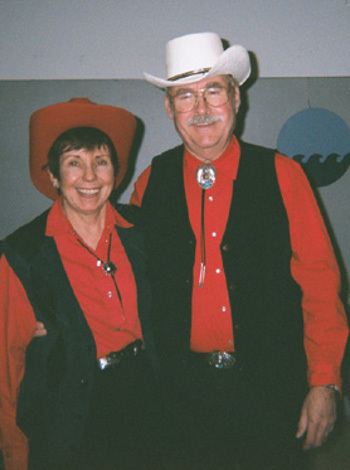 TNT is also known for its classic round dance music. What round dance cuer does not use Buffy or Take One Step? Palomino Records bought TNT in the late 90’s. After Tom Dillander took over TNT, the sound of TNT changed to a Synthesizer used along with other instruments added. I was the first to record for Tom after the takeover. The first tune I recorded for TNT with the new sound was I’ve Been Working On The Railroad. The music uses a synthesizer, banjo, Guitar and bass. The sound changed back to the synthesizer in the mid 2000 when Tom at Palomino began using music from Hirosha Yaoko of Japan. Take a listen to all of the wonderful patter music that Hirosha has created. Callers such as myself, Jerry Jestin and Bobby Poyner have added their voices to the music of Hirosha. As the new owner of TNT. I feel as though I now own a part of history and I promise to continue making TNT music something you would like to use. Thank you for visiting this web page. Come back often. If you have any comments, good or bad, please feel free to get in touch with me. This website is owned and copyright © 2015-2019 by Don Coy. All rights reserved.